Not many of you would be aware of these types of eagles . This article lays down some of the important facts about different eagle species. Eagles are one of the largest birds of prey that belong to the family of Accipitridae. Most of these species are endemic to Eurasia and Africa; out of which bald eagles and golden eagles are the only species that subsides in the North America and Canada only. Eagles generally build their nests on lofty trees in tropical and subtropical forests where water is abundant. Like other raptors, females are slightly larger as compared to males. These are the aggressive birds and do not allow anyone to approach their nests. While they migrate toward north in spring season; these birds of prey travel to south in fall in quest for food. They have long eye brows that provides a shade against sunlight. Eagles rarely miss any prey for the reason that they have sharp eyesight and powerful talons that makes the kill almost unmoved. 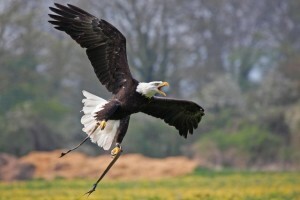 The bald eagle is one of those types of eagles that are extensively found in North America. These eagles belong to the family of Haliaeetus leucocephalus. Bald eagle is also the national bird of United States. It is mostly found near large quantity of water. 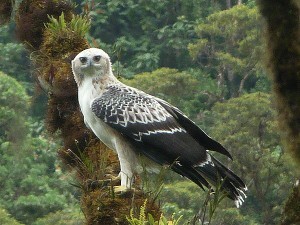 This eagle has a white head followed by a brown feathered body. These types of eagles are opportunistic birds of prey. 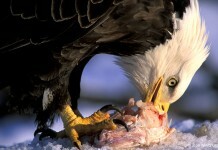 The prime bald eagle diet consists of fish, trout, and salmon. The regular bald eagle diet comprises of carrion, whales, fish, squid, ungulates. These vigilant birds also prey on mammals including rats, rabbits, raccoons, beavers, muskrats, deer, and hares. As far as avian prey is concerned, bald eagles mostly eat gulls, ducks, alcids, coots, grebes, geese. Large preys include swans, ungulates, reptiles, crustaceans, crabs and amphibians. These are considered to be an endangered species and are commonly found in North America. They usually build their nests on lofty trees near water. Forests, lakes, swamps, and tropical rainforests are some of the common places where bald eagles normally live. The average lifespan of bald eagle is up to 28 years. The golden eagles are the types of eagles that belong to the family of Accipitridae (Aquila Chrysaetos). These birds of prey are normally found in the Northern Hemisphere. The primary diet consists of rabbits, marmots, squirrels, and small insects. Large sized mammals include foxes, deer, goats, ibex, roe deer. Golden eagle habitat is commonly found near abundance of water. 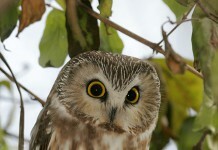 These birds of prey mostly live North America and Africa. Apart from North America, these birds also exist in Eurasia, Siberia, Eastern Siberia, Kazakistan, China, Himalayas (North of Pakistan), Bhutan, Turkey, Japan, and Korea. 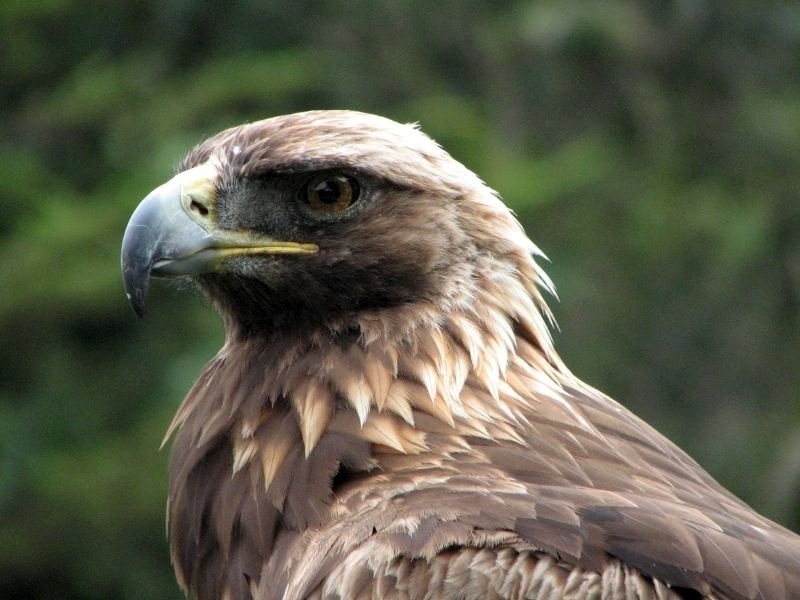 The average lifespan of golden eagles is around 30 years. 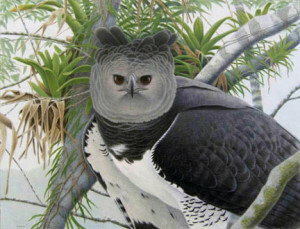 Harpy eagle is another bird of prey and is also known as American Harpy Eagle. It is also considered to be the most powerful raptor in America. It’s population has been negatively affected due to the deterioration of its habitats. What do Harpy Eagles Eat? Harpy eagle’s diet comprise of mammals such as monkeys, sloths, anteaters, opossums, coatis, and porcupines. 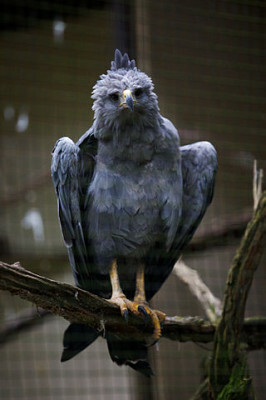 Like bald eagles, harpy eagles are also found in North America, Central America and goes to Argentine. Crested serpent eagles are not the largest species, rather these birds of prey are of medium size and are extensively found in Asia. These eagles belong to the subfamily of Circaetinae. They have loud vocalization and have powerful talons that penetrate deep into the kill. Where do Crested Serpent Eagles Live? These birds are commonly found across tropical Asia, Borneo, Peninsula, Sumatra, Taiwan, Batu, Bali, and Palawan. 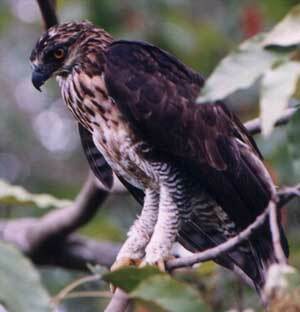 These birds of prey also exist in islands such as Andamans, Ryuku, Simeulue, Natuna, and Central Nicobars. 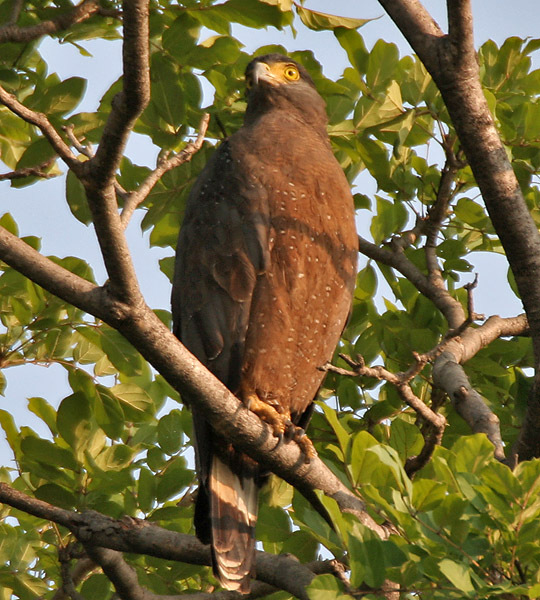 In Asia, Crested Serpent eagles exist in India, Sri Lanka, Nepal, and China. What do Crested Serpent Eagles Eat? 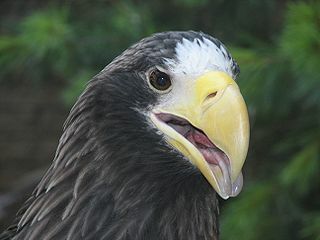 Unlike other species, these types of eagles usually make most of their diet by eating reptiles such as snakes and lizards. The Madagascar serpent eagle is a bird of prey that belongs to the family of Eutriorchis astur. This specie is endemic to Madascar. This is medium size specie with a long tail. Where do Madagascar Eagles Live? These types of eagles are mostly found in the lowlands, tropical forests, and subtropical forests. They also exist in the Northeastern range of Madagascar. What do Madagascar Eagles Eat? These eagles eat lizards, snakes, and frogs to fulfill their regular diet. Like serpent eagles, booted eagles are also medium sized birds of prey. These types of eagles belong to the family of Aquila pennata. They are the migratory birds and feed on different places. Where do Booted Eagles Live? These types of eagles live in North America, Europe, and all throughout Asia. 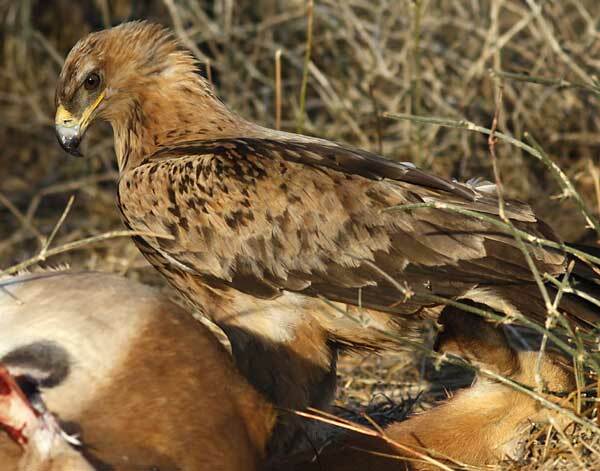 What do Booted Eagles Eat? The prime eagle’s diet comprise of mammals, raptors, several kind of birds, and insects. African fish eagles are by far one of the largest eagle species that belongs to the family of Haliaeetus vocifer. The physical appearance of African eagles resembles very much to that of bald eagles. Where do African Fish Eagles Live? Like bald eagles, these species also build their habitats near water-abundance reservoirs such as lakes, swamps, Tropical rainforests, fynbos, even deserts, grasslands, marshes, and rivers. They are commonly found in the Saharan Africa, Sahara desert, Orange River, Namibia, Okavango Delta, Tanzania, Malawi, Lake Victoria, and South Africa. What do African Fish Eagles Eat? The prime diet of these types of eagles consists of fish. These eagles are known to eat ducks, waterfowls, turtles, terrapins, small fish, frogs, greater and lesser flamingos, sloths, monkeys, hyraxes, and carrion. 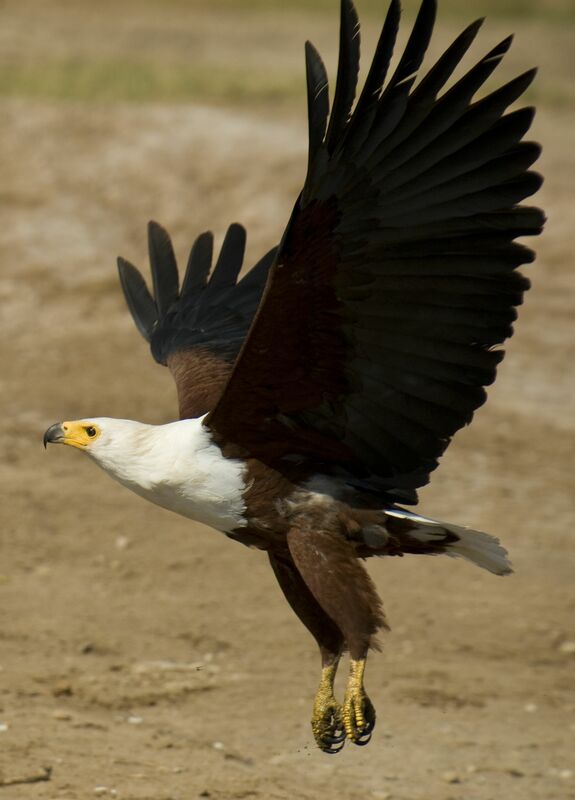 Pallas’s Fish Eagle is a large size brown eagle and belongs to the family of Haliaeetus leucoryphus. The breeding place of these eagles lies in central Asia. Naturalists maintain that these eagles are not the migratory birds. These species normally exists in the Central Asia, Himalayas, Caspian Sea, Bangladesh, Persian Gulf, Mongolia and India. What do Pallas’s Fish Eagles Eat? One of the chief diets of these eagles is fish including salmon and trout. The crested eagles belong to the family of Morphnus guianensis. Females are slightly greater in size in comparison to the males. These types of eagles have a wide range in that they are found in Panama, Costa Rica, Columbia, Guatemala, Venezuela, Suriname, French Guiana, Belize, Honduras, Guyana, Nicaragua, Argentine, Peru, Paraguay and Brazil. 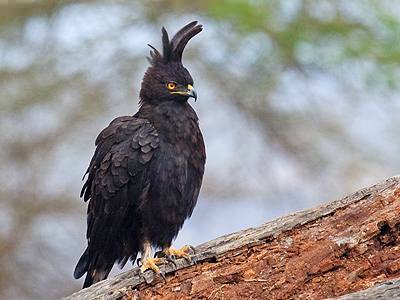 What do Crested Eagles Eat? These eagles prey on small mammals like sloths, monkeys and tamarins. 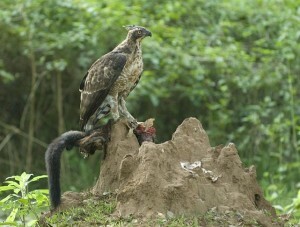 Research indicated that crested eagles also eat reptiles like snakes. These birds of prey belong to the family of Lophaetus occipitalis. 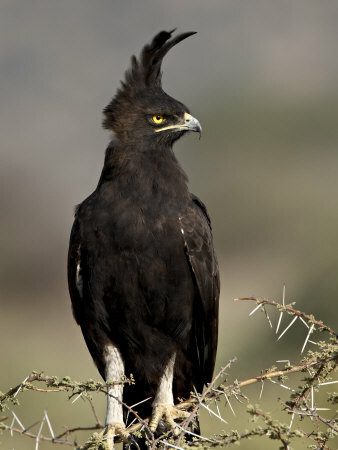 As compared to typical eagles, long-crested eagles are smaller in size with a length of only 55 cm. These species are found in the Southern Africa. These birds build their habitat on woodlands and forests. 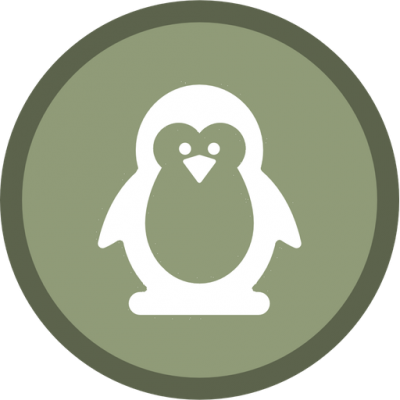 What do Long-crested Eagles Eat? Due to their relatively smaller size, these birds tend to catch small insects, birds such as ducks, and frogs. 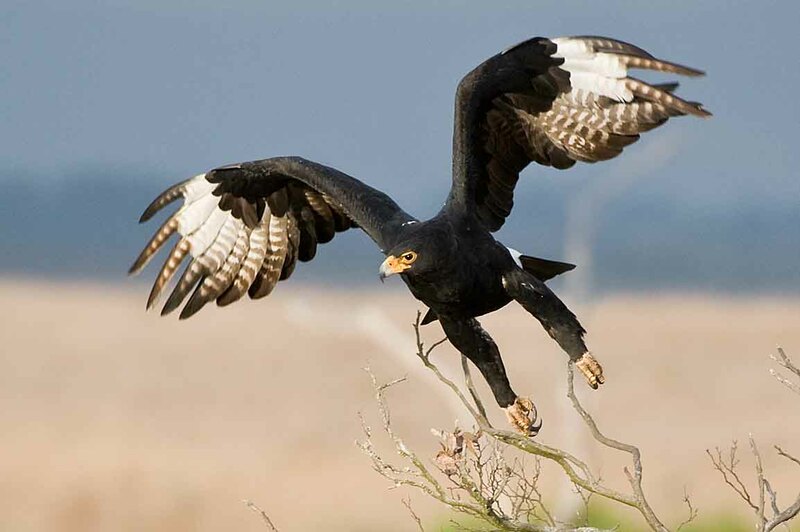 The black eagle belongs to the family of Ictinaetus malayensis and is also the member of genus ictinaetus. They normally build their habitats in forests and are commonly found in Asia. What do Black Eagles Eat? These types of eagles usually eat small mammals such as monkeys, sloths, in conjunction with other birds. Where do Black Eagles Live? One of the common breeding places of black eagle is tropical Asia including Sri Lanka and India. Stellar’s sea eagle is considered to be a large bird of prey; belong to the family of Accipitridae. These types of eagles are mainly found in the Northeastern part of Asia. Where do Stellar’s Sea Eagles Live? Stellar’s sea eagle is found in several Islands such as Shantar islands and Kuril Islands. Apart from islands these birds also live near rivers including Amur River and Sakhalin. These birds are extensively found in the North America and Taiwan. These species like to build their nests on a large rocky outcroppings or top of the trees. They build habitats near wetlands. What do Stellar’s Sea Eagles Eat? One of the prime diets of these eagles is fish such as salmon, cod, and trout. Apart from the fish, these birds of prey rely on ducks, swamps, cranes, gulls, squid, carrion, mammals, crabs, mussels, carrion, swans, herons, and geese, for their feed. These birds of prey are one of the largest eagle species. 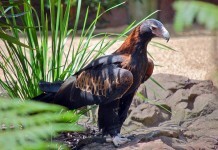 These birds are also known as Monkey-eating Eagle. 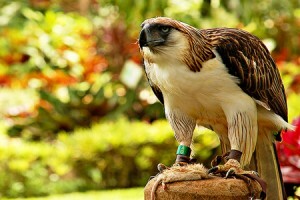 Philippine eagle basically exists in Philippine and is also symbolized as the national bird of the country. These eagles belong to the family of Pithecophaga jefferyi. Where do Philippine Eagles Live? What do Philippine Eagles Eat? As the other name indicates, these birds of prey are known to prey on monkeys on regular basis. 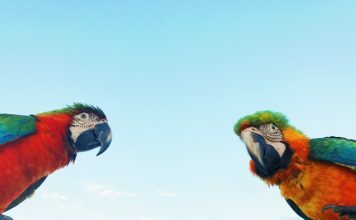 Apart from monkeys, these birds rely on flying lizards, flying lemurs, cloud-rats, monitors, owls, hornbills, snakes, and small dogs occasionally. Greater spotted eagle is a large bird that belongs to the family of Aquila clanga. These eagles have more characteristics in common to the sea eagles. What do Greater Spotted Eagle Eat? These birds of prey munch on small mammals including monkeys, sloths, rats, and rabbits. Where do Greater Spotted Eagles Live? These eagles are found all throughout Asia and northern Europe. They travel to Europe in cold days. They are abundantly found in the Middle East, Bhutan, Siberia and South Asia. Lesser spotted eagles belong to the family of Aquila pomarina. Like other species, these birds are found near abundant water. Where do Lesser Spotted Eagles Live? These birds of prey exist in the central Europe and southern part of Turkey. What do Lesser Spotted Eagles Eat? These birds hunt small mammals along with fish. The steppe eagle is a large bird of prey that belongs to the family of Aquila nipalensis. These birds are believed to be half migratory birds. Where do Steppe Eagles Live? 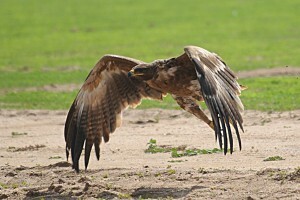 The steppe eagles normally breed on Romania and Mongolia. What do Steppe Eagles Eat? 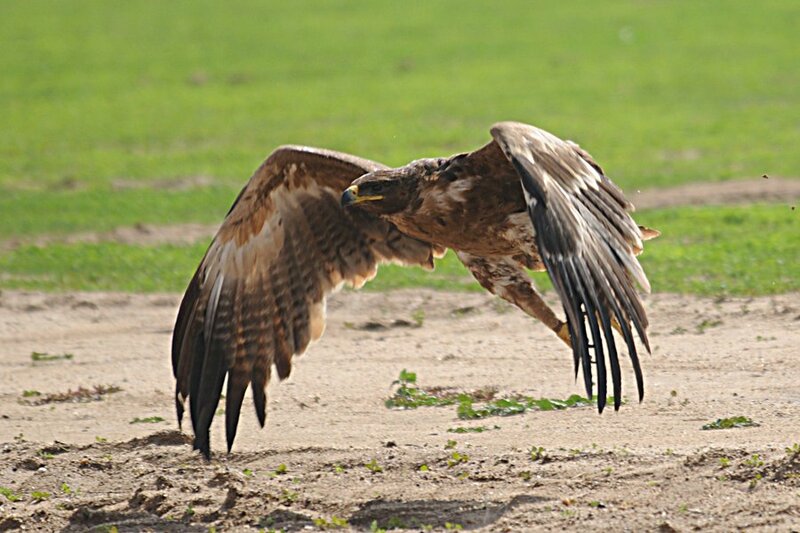 An essential part of steppe eagle’s diet comprise of carrions, rodents, and small mammals. 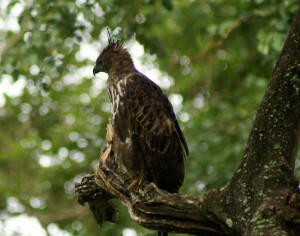 Tawny eagle belongs to the family of Aquila rapax. Previously, naturalists believed that the bird is not a migratory; however, no evidences were provided for this belief. Where do Tawny Eagles Live? Africa, Asia, and Sahara Desert are the few common places where these birds breed on. What do Tawny Eagles Eat? These species rely on carrions together with reptiles and small mammals such as rabbits, rats, and monkeys. They can eat birds with the size of guineafowl. Black chested buzzard eagle belongs to the family of Geranoaetus melanoleucus. 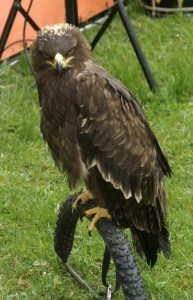 The other name of this eagle is black buzzard eagle. 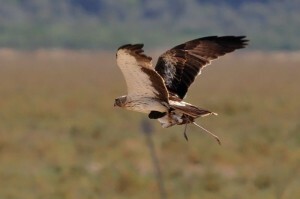 Where do Black-Chested Buzzard Eagles Eat? These types of eagles commonly feed on mammals like medium sized rabbits, and rats. The also eat burrowing owl, Penelope guans, squamates, anthropods, and carrion. Where do Black-Chested Buzzard Eagles Live? These birds of prey largely build their nests on lofty trees or rocky cliffs. These species are commonly found in Brazil, Argentine, Alagoas. The crowned solitary eagle is a large bird of prey and is considered to be an endangered species. These birds belong to the family of Harpyhaliaetus coronatus. Where do Crowned Solitary Eagles Live? These birds of prey live in Brazil, Argentine, Bolivia, and Paraguay. What do Crowned Solitary Eagles Eat? These birds munch on small mammals and other preys like fish, skunks, rodents, snakes, monkeys, weasels, lambs and other reptiles. Montane Solitary Eagle mostly lives in Mexico and Central America. These birds feed on snakes and deer. Papuan Eagle is a large bird of prey that belongs to the family of Harpyopsis novaeguineae. This specie has very strong talons. The females are greater in size as compared to males. 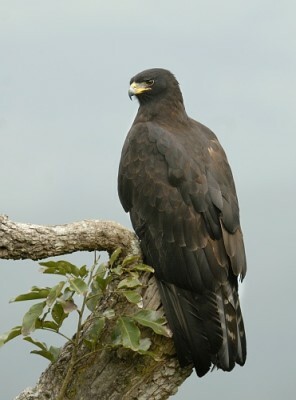 The Black-and-chestnut Eagle belongs to the family of Spizaetus isidori. These birds are also known as Isidor’s Eagle. What do Black-and-chestnut Eagles Eat? These species normally feed on monkeys, porcupines, coatis, and guans. Where do Black-and-chest Eagles Live? These birds are generally found on montane forests in Argentine, Bolivia, Peru, Columbia, Venezuela, Santa Marta and Ecuador. 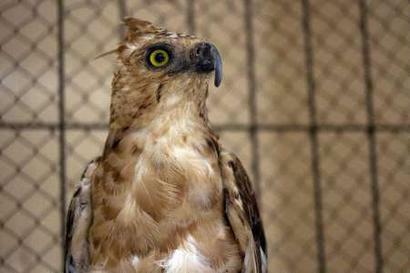 Crested Hawk Eagle is a large bird and it belongs to the family of Nisaetus cirrhatus. Where do Crested Hawk Eagles Live? These species live in India, Philippine, Sri Lanka, Indonesia, and Himalayas. 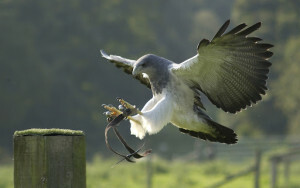 What do Crested Hawk Eagles Eat? Crested Hawk Eagles normally eat mammals, reptiles, and birds. Where do Mountain Hawk Eagles Live? These birds are found in the Indian Subcontinent, Nepal, India, Thailand, Taiwan, and Japan. What do Mountain Hawk Eagles Eat? These species normally munch on small mammals, reptiles, and different types of birds. 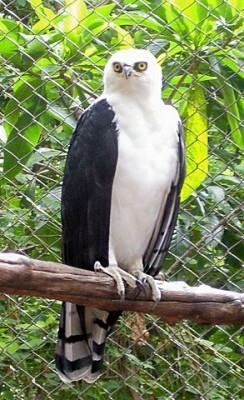 Black-and-white Hawk-eagle belongs to the family of the Spizaetus melanoleucus. These types of eagles are extensively distributed all throughout the Southern Mexico. Where do Black-and-white Hawk-eagles Live? These species are found in Mexico, Central America, South America, Caribbean coast, northern Columbia, Venezuela, Nicaragua, Argentine, Santa Cruz, Bolivia, Amazonia, Lorenta Region, Brazil, Paraguay, Guianas, Uruguay, and South to Ecuador. These birds tend to build their habitats near subtropical forests as well as in savanna. What do Black-and-white Hawk-eagles Eat? These are the carnivorous birds and they feed on small mammals, squamates, toads, tenagers, cotingas, aracaris, and monkeys. These species build their nests in the month of September especially during a rainy season. These are the birds of prey that belong to the family of Spizaetus ornatus. Ornate Hawk-eagles have different plumages when it comes to adults and chicks. These species are usually exists in the Tropical America. Where do Ornate Hawk-Eagles Live? One of the prime breeding places of these birds is tropical forest that runs through the Southern Mexico and Peninsula. Apart from the forests, these species live in Trinidad and Tobago, Peru, and Argentine. What do Ornate Hawk-Eagles Eat? Like booted eagles, these species are also the powerful birds and they rely on toucans, parrots, chickens, curassows, wood-quails, pigeons, little blue herons, cotingas, and black vultures. These birds also feed on mammals and other little animals like squirrels, rats, monkeys, reptiles, agoutis, and procyonids. These types of eagles are not the largest of birds. They are only 50 – 55 cm long. 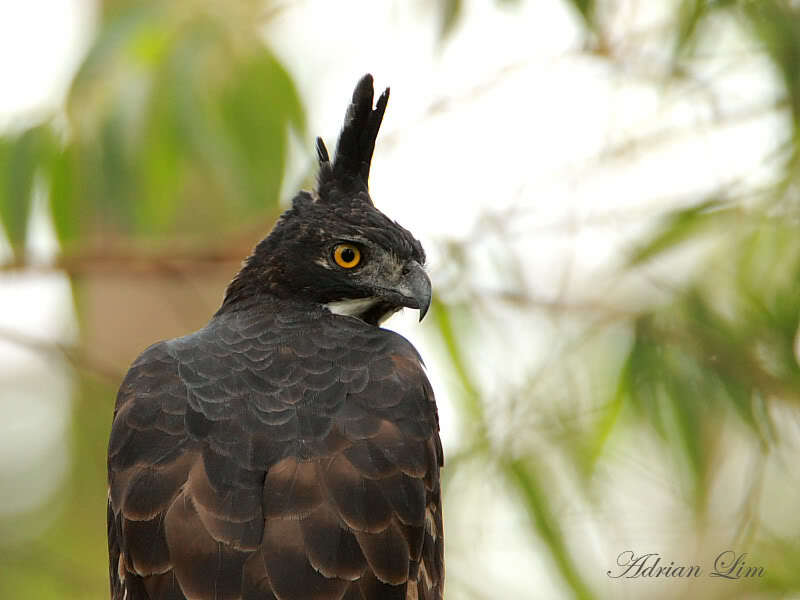 Blyth’s Hawk-Eagle is belongs to the family of Nisaetus alboniger. Where do Blyth’s Hawk-Eagles Live? These birds usually live in Malaysia, Borneo, Singapore, Sumatra. These species build their nests on high elevated trees. Javan Hawk-Eagle is the bird of prey that belongs to the family of Nisaetus bartelsi. These are the medium-sized birds and they tend to feed on small mammals. Where do Javan Hawk-Eagles Live? These birds are endemic to the tropical forests. These eagles are widely distributed to East java, National Park, Sempu Island and Kebun Binatang. These eagles are considered as medium sized species. These species belong to the family of Nisaetus lanceolatus. They are brown feathered birds with a mark on their chests. Where do Sulawesi Hawk-Eagles Live? They are endemic to Indonesia, Buton, Muna, Sulawesi, and tropical rainforests. 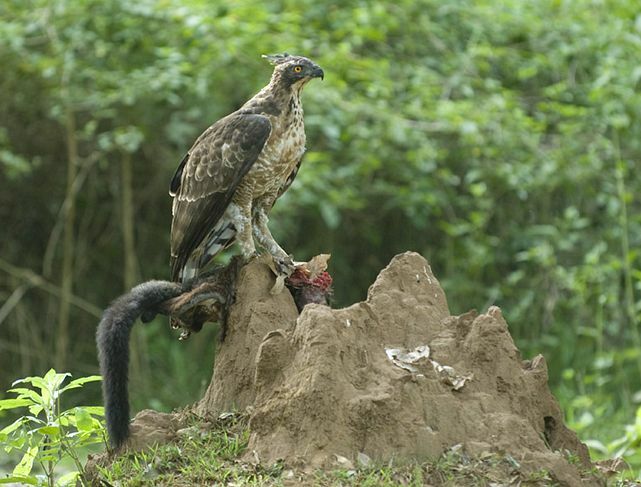 What do Sulawesi Hawk-Eagles Eat? The prime diet consists of snakes, lizards, monkeys, and soths. 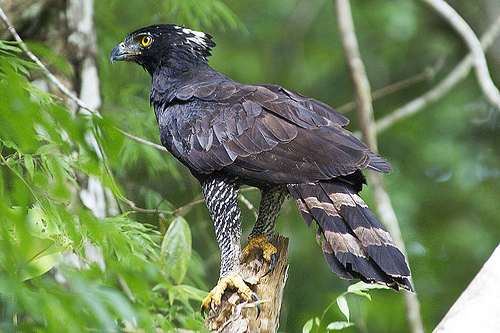 Wallace’s Hawk-Eagle is associated with the family of Spizaetus. 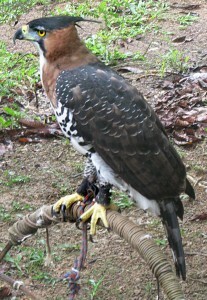 The length of the Wallace’s Hawk-Eagle measures about 46 cm. These birds are medium sized species. Where do Wallace’s Hawk-Eagles Live? These birds of prey live in Indonesia, Thailand, Myanmar, and Brunei. They build their habitats in lowlands or subtropical forests. Black Hawk Eagles are associated with the family of Spizaetus tyrannus. They are relatively larger sized eagles as compared to the Wallace’s Hawk. Where do Black Hawk Eagles Live? These species are endemic to South America and they are usually found in Mexico, Peru, Brazil, and Argentine. These types of eagles construct their habitats near rivers, in forests, and other water abundant places. These birds generally feed on rodents, monkeys, opossums, bats and toucans. Crowned Eagles are large birds of prey and is also the member of genus Stephanoaetus. Where do Crowned Eagles Live? 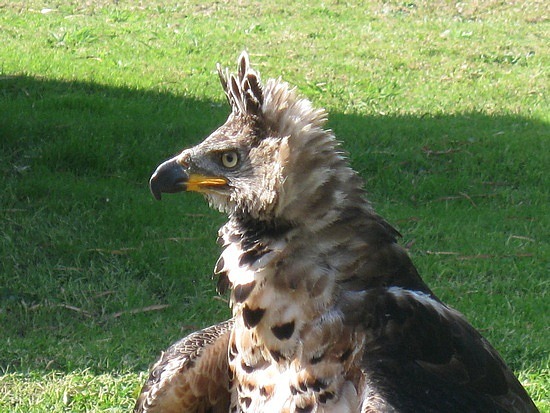 Crowned eagles generally live in South Africa, Madagascar, and Sub-Sahara Africa. Other African places include Zambia, Kenya, and Uganda. These species build their habitats in woodlands and forests. What do Crowned Eagles Eat? These birds prey on small mammals, reptiles, birds, lizards, and monkeys. Martial Eagles are linked with the family of Polemaetus bellicosus. These are considered to be the large eagles. Where do Martial Eagles Live? 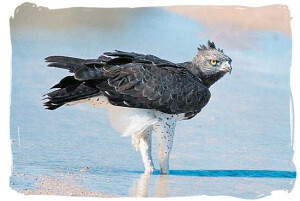 Martial eagles breed on Sub-Sahara African. These birds depend on environment for making their living as a resident. 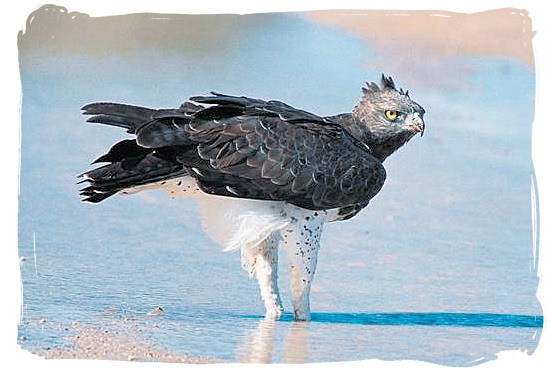 The friendlier the environment is the more chances are there for Martial eagles to live on. They have large population in places like Zimbabwe, South Africa, Kruger National Park. What do Martial Eagles Eat? These birds mainly feed on lizards, snakes, baboons, mongooses, African pythons, Geese, Lambs, and mountain goats. Haast’s Eagle is by far the largest species that had ever existed. 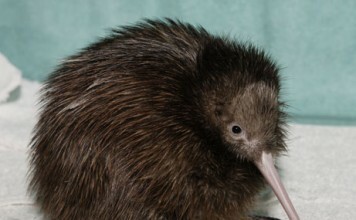 In the primitive times, these birds were endemic to New Zealand. What do Haast’s Eagle Eat? These birds feed on flying mammals including bats as well as other preys such as deer, and cattle. 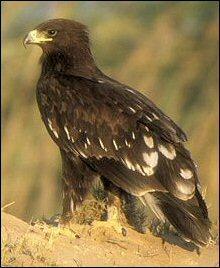 Indian Spotted Eagle is the large bird of prey that belongs to the family of Aquila hastate. These birds are close relatives of sea eagles and fish eagles. Where do Indian Spotted Eagles Live? 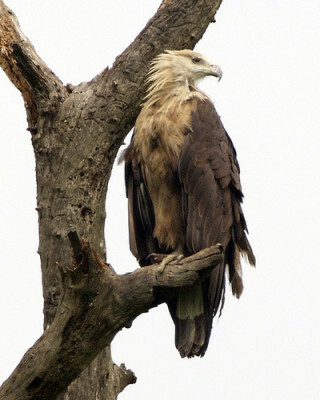 These eagles live in Bangladesh, Myanmar, Nepal, Sri Lanka, and India. These types of birds belong to the family of Aquila verreauxii; these species are also known as Black Eagle. They like to live on the mountainous regions. Where do Verreaux’s Eagles Live? Western Asia and Western Africa. What do Verreaux’s Eagles Eat? Guineafowl, carrion, antelope, monkeys, reptiles, and bearded vulture. 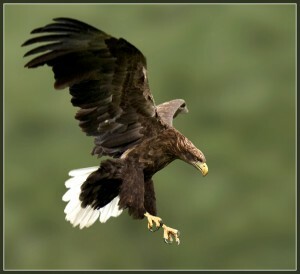 White tailed eagle is also known as sea eagle and is associated with the family of Haliaeetus albicilla. Where do White Tailed Eagles Live? Northern Europe, Northern Asia, Norway, Siberia, Greenland, and Iceland. What do White Tailed Eagles Eat? Fish, mammals, carrion, and otters. 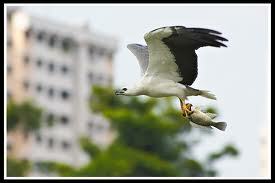 The white-bellied sea eagle belongs to the family of Haliaeetus leucogaster. These species are closely related to the Sanford’s sea eagle. Where do White-bellied Eagles Live? Southeast Asia, Australia, Sri Lanka, Tasmania, Victoria, South Australia, Mumbai, New Guinea, Hainan, Kangroo Island. What do White-bellied Eagles Eat? Carrion, little Penguins, Northern Common Cuscus, Shearwaters, swamp harriers, Brahminy Kites, macropods, grebes, maned duck, magpies, coots, and water dragon.